This piece jumped out at me this morning as I scoured my Word document of poems named after twenty one pilots tracks, my ongoing Saturday series on She’s in Prison. Something about this poem grabbed me as I reflect and recover from a car accident a couple days ago. 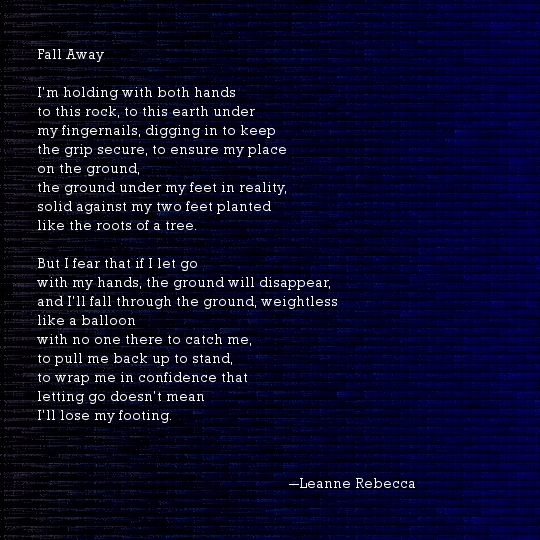 As always, check out the twenty one pilots version of “Fall Away” below and find the archives from my other TOP titled poems HERE. I agree! I love it all their stuff.